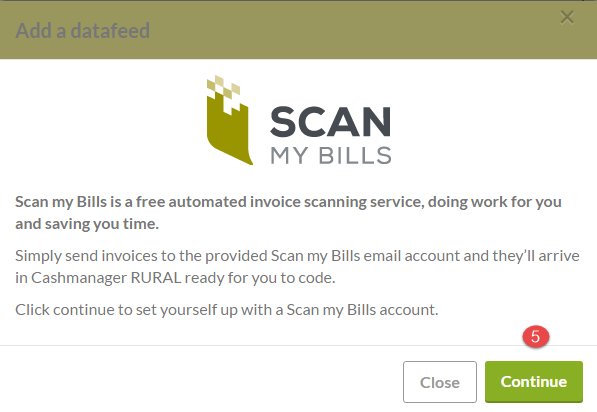 To use the Cashmanager RURAL Scan my Bills feature you must use Cashmanager RURAL online. If you have multiple online businesses you will need to register each one individually. 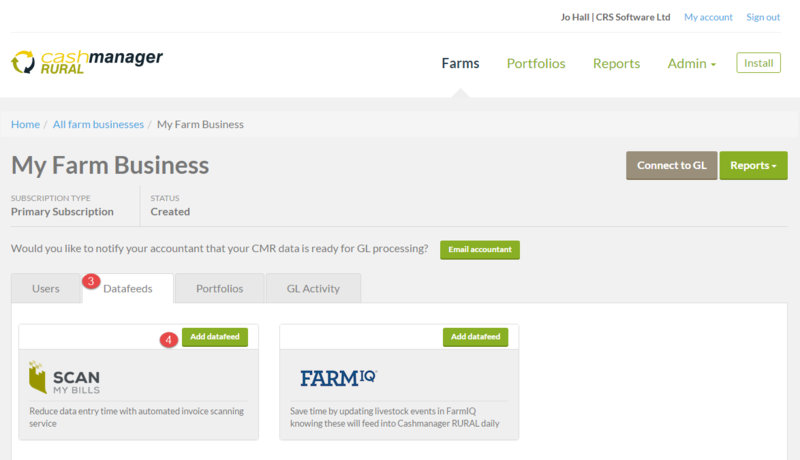 Select the farm business that you want to use with Scan my Bills. Click Continue to confirm the registration, or Close to cancel. Congratulations! You are now registered to use Scan my Bills. A confirmation email will be sent to your Inbox displaying your unique Scan my Bills email address. It will also include helpful tips on how to start using Scan my Bills.